"Zigzag Lava Bubbles" redirects here. For information about the level in Super Mario Maker, see Zigzag Lava Bubbles (level). 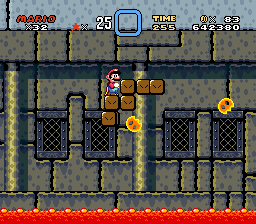 Zigzag Lava Bubbles are Lava Bubbles that are first found in Super Mario World. Unlike regular Lava Bubbles, Zigzag Lava Bubbles are never found in lava; instead, they are always in the air. They bounce off any walls they run into in an attempt to hurt Mario or Luigi. They are only found in certain castle levels. 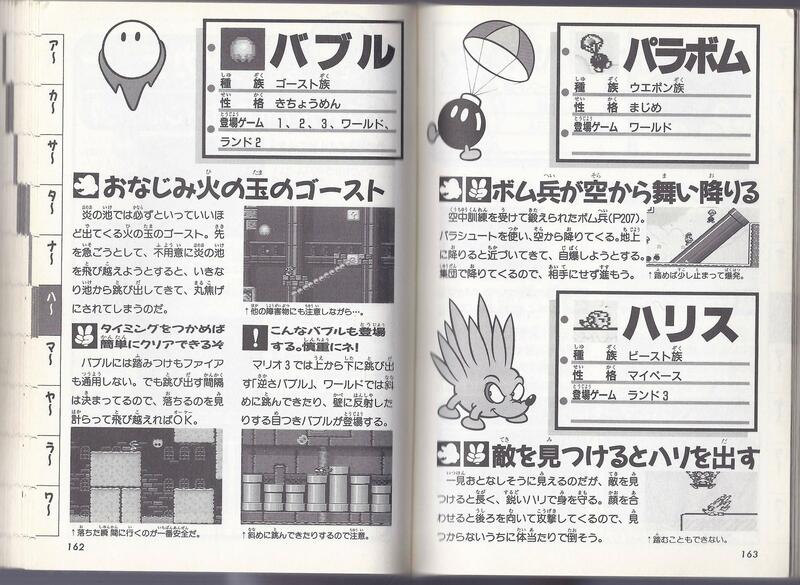 One also appears in Lemmy's boss fight, and two others also assist Wendy. When a Zigzag Lava Bubble falls in the lava, they never come back out. In Super Mario Maker and Super Mario Maker for Nintendo 3DS, Zigzag Lava Bubbles can be reproduced if the player puts wings on a Lava Bubble. Despite the new appearance, their behavior is identical. However, they now ricochet off lava as well. Similar diagonally bouncing, ricocheting Lava Bubbles appear in Super Mario World 2: Yoshi's Island, but they actually do jump out of lava, and will turn into a natural arc if they go high enough. This page was last edited on December 4, 2018, at 22:40.